Playologist, may be small in size but she is big on features. 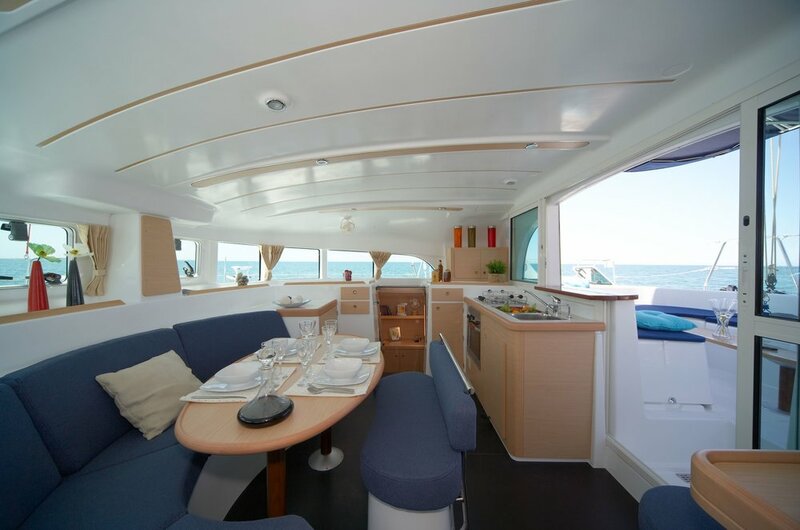 From her spacious cabins, to her countless lounging areas, Playologist is ready to transport you to paradise. Imagine sipping cocktails on the aft deck with friends and family watching the sunset on a perfect Caribbean day then relaxing under the stars on her trampoline. Days don’t get better than this. As with all of our charter yachts, Playologist is fully equipped with all that you will need to make your sailing vacation perfect! Simply arrive at our base with your provisions, step aboard, and allow yourself to relax and experience the best of the Caribbean.